Minor chips, marks and colour defects can be easily remedied with white fillings. White filling material comes in many different shades and is carefully matched and moulded to your tooth. 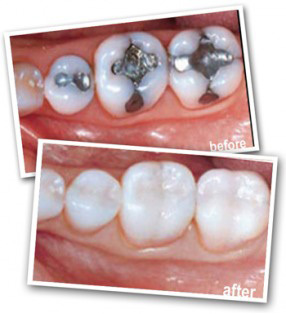 Teeth need less preparation for a white filling than for Amalgam (silver fillings) and results are natural, long lasting, quick and surprisingly affordable.